Are You Working On an Unsafe Tugboat? Home » Are You Working On an Unsafe Tugboat? Tugboats may be small compared to the loads they carry. However, they are solidly built, powerful and serve one of the most important purposes at a harbor. While tugboats are on average 150 feet long, they can produce up to 3,400 horse power. Larger tugboats can produce more than 27,000 horse power to haul barges and ship out into deeper waters. However, if not properly maintained or manned, the crew could find themselves in a dangerous situation. Most tugboats require workers to use winches, drums and towing lines to effectively pull ships in and out of harbors. As such, the law requires owners and operators (or in this case, tug masters) to employ certain safety standards to protect workers from dangerous accidents. Most tugboats have a tug master aboard, who is responsible for each towage. Most investigations of injuries and deaths cite a failure to designate who is in charge of towing operations, so it is the tug master’s responsibility to make all crewmembers aware of their assigned duties. How Can I Stay Safe on a Tugboat? If you’re manning a tugboat, always watch your feet. There are consistently obstacles littered on the boat, including lock lines, wires and ratchets that still have tension on them. Learn and memorize locations of all emergency equipment. However, no amount of preparation and caution can protect a crewmember from a tugboat injury if the vessel is not properly maintained and crewmembers are not given proper safety training. An analysis of injuries showed that more than half of all tugboat related accident claims were due to shoddy maintenance, crew negligence (mostly attributed to communication), poor navigation, as well as insufficient safety and operational procedures and lack of safety equipment. 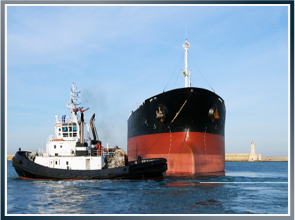 Latti & Anderson LLP is a maritime injury firm that assists injured tugboat workers, as well as other employees involved in maritime accidents nationwide.